It struck me this wee kend that one of the ways we can deepen our knowledge of a subject is by explaining it to others. 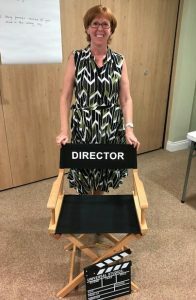 Having just delivered the ‘Take2-Directing your Best Life’ workshops, which explore the mind and how it determines our experience of life, I realised that I do actually know something about this subject! Being able to convey a complex topic in as simple a way as possible was a real challenge, but judging by the feedback, and the examples people have shared about how they are already applying the ideas to everyday situations, I think it went ok. Often, we become overwhelmed by the trials of life, and although we don’t always have control over our circumstances we do have control over how we interpret and respond to those circumstances, and that is empowering. So, thank you to all who took part, I look forward to hearing more of how being able to master your mind really does make a difference to how you experience your life. I learned so much, both from having to deliver the workshops, but also from the amazing stories and personal experiences that you shared. And I challenge you, if you really want to consolidate the ideas we explored then try sharing them with someone else. Not only will you discover how much you have learned, but you may just give someone else the nudge they need to start taking control of their mind and their experience of life. No way to lose!